Even though I love going out and exploring the Cleveland scene, there's just something beautiful about staying in when the temperature drops below fifty degrees. Which is like every single day until May, right? Ugh. Instead of giving my Netflix and DVR some extra love last weekend, I decided to get together with a fabulous group of friends for a girls night in. We laughed, we gossiped, we ate, we drank...it was a magical combination of things. Especially when the eating and drinking part involved wine and chocolate. 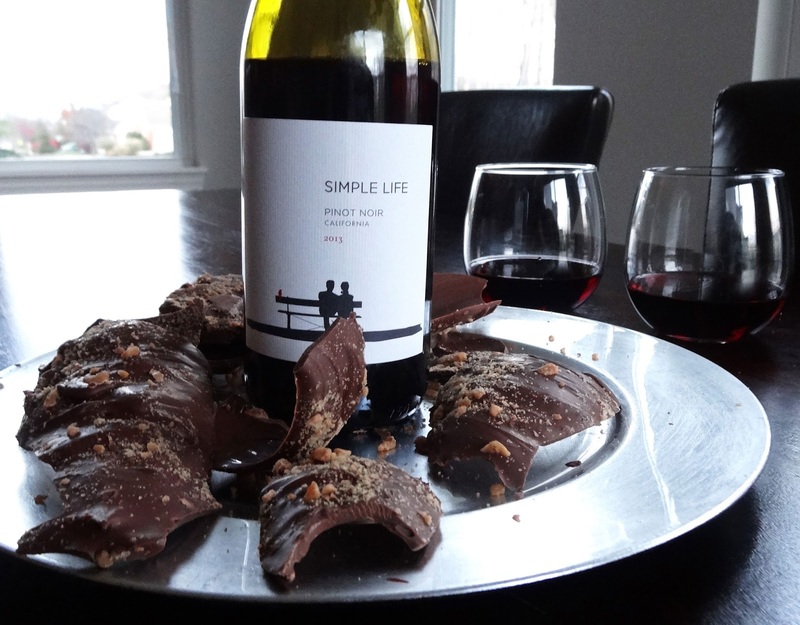 And the flavor profiles of the wine and chocolate perfectly complemented one another. Just wait. The wine bottles were actually dipped in chocolate! What I love most about Bliss in a Bottle is that every single wine has a different type of chocolate painted on the outside of the bottle! It's pretty unreal. From milk chocolate with buttery toffee bits to balance the warm earthiness of our Pinot Noir, to white chocolate sprinkled with tangerine, lime and lemon zest to bring out the citrus notes of our Sauvignon Blanc, we sampled all ends of the spectrum! And no, there were obviously no leftovers! I'm sure you can already tell how awesome Bliss in a Bottle tastes and how it's completely perfect for social gatherings, but the only thing you might not understand is how the whole chocolate covered wine bottle works. It reminds me of opening a Hershey kiss (only replace the fake chocolate with ahhh-mazing Belgian chocolate!). 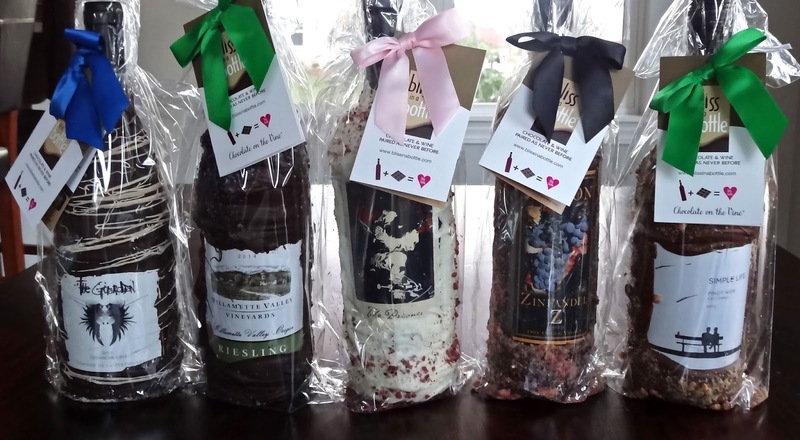 There's a clear wrapper around the wine bottle so the chocolate doesn't touch the glass, with a ribbon set in place between the two. You pull down on the ribbon, hence my Hershey Kiss reference, and the chocolate breaks off into pieces that are perfect for snacking! 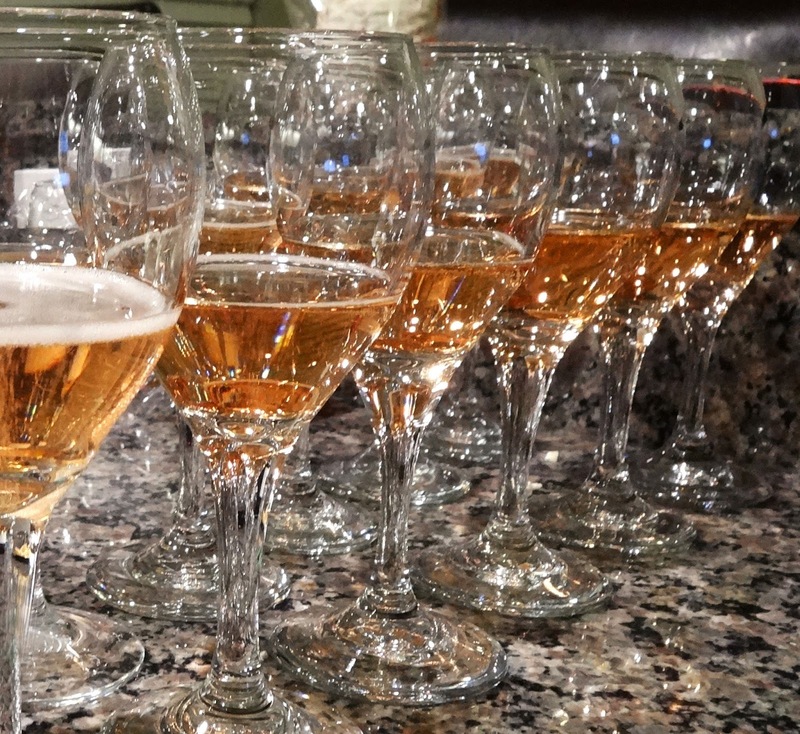 We started the night with a sparkling rosé and ended with a dry zinfandel, sampling almost every type of wine in between! It made for an absolutely unforgettable night with the girls! While Bliss in a Bottle has an awesome online shop located here, I would definitely suggest making a trip to Beachwood Place (for my fellow Clevelanders) or to Polaris Mall (for my Columbus folks). It's just incredible seeing all of the different types of bottles in person! Even though I got my fill of wine and chocolate last weekend with the girls, I'm already excited to splurge on a bottle for Howie and I to have on a date night at home this winter. Now for dreaming up some dinner recipes that pair with the wine and chocolate...mmmmmmm. Thank you to Bliss in a Bottle for sponsoring this post.